This past week, like most weeks, has provided ups and downs in my life. I suspect it has in yours, as well. I've been looking through the archives of this blog and was reminded of the hills and valleys in my life thus far. 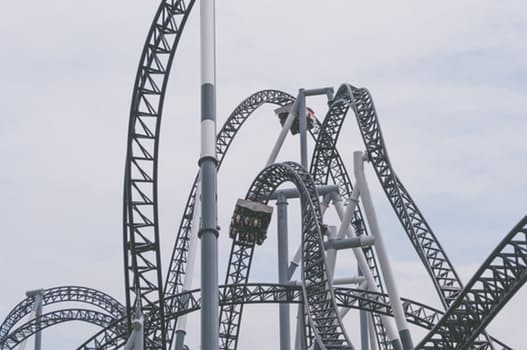 It seems that life isn't a straight horizontal line nor does it trace a smooth upward course, but it more closely resembles the ups and downs of a roller coaster. But even experiencing those "downs" can be useful, if for no other reason than to help us recall the way we were pulled out of tough times, even when we couldn't see a way out ourselves. Years ago, multi-published author and speaker Liz Curtis Higgs said that sometimes our writing has to have an edge to it, even make readers uncomfortable. And sometimes this edge in really good writing comes from having experienced the same emotion as our characters. She's right. I'll take that even a step further, and say that whatever we do with our days--writer, teacher, executive, physician, technician, roofer--our life experiences can prepare us for what's around the bend. 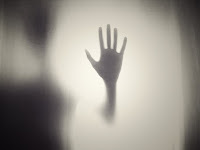 When I wrote my last novel, Medical Judgment, I was able to draw on my feelings of loneliness and isolation experienced when my first wife died. I'd like to know if you've ever gone through something in which you saw no way out, but afterward were able to look back and say something good came from the experience. Tweet with a single click: Do the tough times we experience sometimes help us cope with what's around the bend? Click here to tweet. NOTE: If you're not already signed up for my newsletter, please click here to do so now. 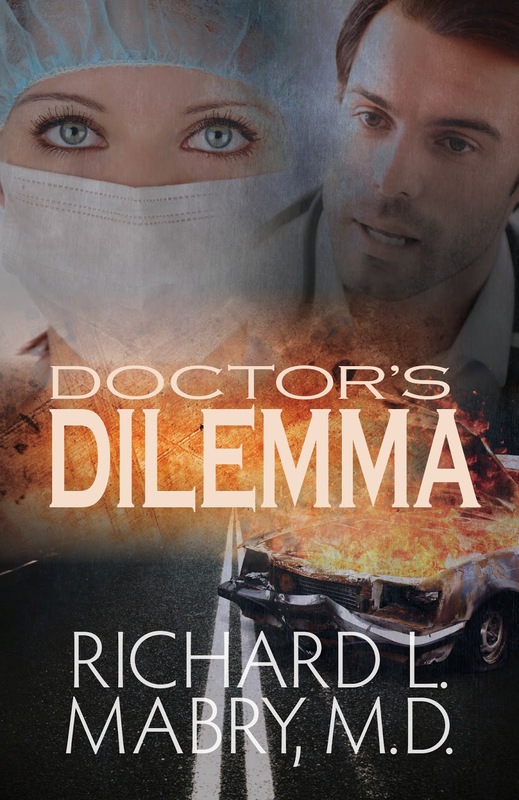 I'll be giving subscribers a preview of my novella, Doctor's Dilemma, in the issue I send out tomorrow, plus a special pre-order price. People ask how long it takes to write a book. Like so many questions, the answer is, "It varies." Some of my colleagues are like writing machines, turning out two, three, or even four books per year. Others publish one book per year. Personally, I'd love to be able to take the time to have one book a year published, but my contracts have always called for a book every six months or so. So sometimes the interval is a contractual matter if the author is working for a conventional publisher. I thought I was going to have a novel published in November, which would have been six months since the last one appeared. But the publisher decided to change that from November, first to January, then to February. 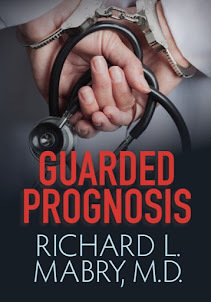 As that time approached, it was evident that there were problems, and the upshot of all that is that Critical Condition won't be out for a bit (even though it's written and edited). In the interim, responding to repeated queries by my readers, I've written a long novella (about half the length of a conventional book) which will be self-published, releasing in about three weeks. More about this as the time draws nearer. But that brings up the question I want to ask. 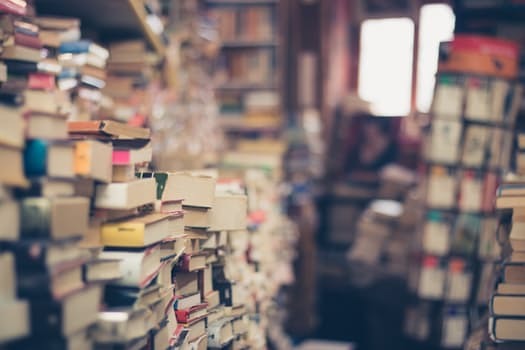 Do you tend to "forget" about an author if he/she doesn't have a new book out every three months, or six months, or nine months? What do you think the ideal interval for publication would be? As readers and writers, chime in. I'm waiting to hear. Tweet with a single click: "What do you think the ideal interval for novel publication should be?" Click here to tweet. I honestly believed we'd see the rhetoric on social media tone down after the election. Not so! It's still going on, and sometimes it seems to me that, if the people commenting were in the same room, we'd see a fist-fight. C'mon people. On one writer's loop of which I'm a member (not, I might add, one populated just by Christian writers), I recently read this: "I have been appalled by what others have said in public and how they have said it." I can only echo that sentiment. Another writer said, "It's changed my opinion of some authors." We in this profession are urged to participate in social media to let our readers know more about us. But has this round of political posts been too much? Has it cost us some readers? Should we back off, or post our opinions no matter what? Thus far I've posted "writing stuff" on my FB fan page and avoided political opinions and postings on my personal page. However, I'm getting tired of blocking posts that raise my blood pressure and even unfriending a person or two after looking at their sites after they left pretty far out comments. I'm considering a change. Stay tuned. Without mentioning a political party a particular person, or your personal preferences, answer this question in the comments: Have you ever encountered a post or comment on social media that made you change your mind? And, to extend the question further, has one of your posts or comments ever resulted in someone else changing their mind? Note in apology: This was inadvertently posted last week before it was completed, and it was probably my fault--technology isn't my strong suit. Would those of you who commented last time re-post your comments? I promise to react to them. Thanks. I've recently begun to wonder about the author practice of offering a free copy of their book to a person leaving a comment on an interview or a guest blog post. It probably is a good way to introduce your writing to someone unfamiliar with it, but are there people who leave comments in hopes of winning free books, yet never post a review, tell others about the writer's work, or help the author in any way afterward? In writing, we learn to look at ROI--return on investment. Is there ROI for giving away our books? I realize you can dine on free samples from Sam's sometimes, but do dry cleaners give away samples? Grocers? Dentists? The response of one author echoes one of the concerns writers have: "Only if a review is actually posted online." Unfortunately, as you'll see below, there are those around who enter every "contest" but never follow through with the review we ask them to post--it doesn't have to be good, just an honest opinion. Another author is probably a bit less cynical, and answered yes, saying that many people had become loyal readers "after reading a gift, contest, or giveaway copy." Okay, that definitely represents ROI. Another writer voiced a concern a bit different from the one already detailed. "I fear that most free books go to (people who are already) fans. (They) tell me how delighted they are when they get a free copy from the publisher or a site like NetGalley. If our fans are no longer buying our books because they have learned to get them for free for the promise of an honest review, who will buy them? I think the 'culture of free' is harming Christian fiction a great deal.” Well, at least it's harming the pitiful monetary return most of us have. I've heard that becoming a writer is essentially "taking a vow of poverty." A well-known author has a different take on the subject. "If you mean doing a blog post interview, which includes giving away one copy—I don’t know. The interview gives some publicity. I don’t know that giving away a copy gives any more. But it might be a requisite for doing the interview." And this is correct--some bloggers and reviewers expect the author to offer one (sometimes more than one) copy of their book at the time they are given blog space. A number of blogs encourag interviews or guest posts be accompanied by a free book to a randomly selected commenter. To this, yet another author says, "Why should we pay people to read our work?" I don't have an answer to that, at least not when it's phrased that way. Do you? Well, it's your turn. Do you leave comments in hopes of winning a "freebie?" Have you ever won a free copy of a book? Did the book inspire you to post a review, tell a friend, or in some way help "influence" on behalf of the author? Have you ever been tempted to sell (or give away) a book you've won? I'd like to know. And if you'd prefer to remain anonymous, feel free--I'm not offering anything to commenters except my thanks. Click to tweet: "What's your opinion of authors giving away copies of their books?" Click here to tweet. I'm over at Seekerville, posting about what makes a story great. Hop over and join us. Today is Valentine's Day. If you intend to take your wife or sweetheart out for dinner tonight and haven't made a reservation already, enjoy your hamburger or pizza! I made the mistake once of that oversight. Fortunately, we were friends with the restaurant owner, so the wait wasn't long. But let's just say I won't do it again. In case anyone is curious, the stylized "heart" you see about this time of year, often as a box containing pieces of chocolate, looks nothing like a human heart. There are a number of stories about how this shape came to be used. For instance, I've heard that the curves at the top indicate the vessels running from the heart downward to supply the rest of the body--anatomically incorrect, but the thought is there. If you want to read other theories, click this link. How do you plan to celebrate Valentine's Day? Leave a comment telling us (or say it's none of our business). Either way, happy Valentine's Day. PS--My apologies to those who read and commented on my post about free books that appeared briefly in this space. It was meant for this coming Friday, and for some reason the incomplete draft got published much too early. Come back in three days for the finished product. Thanks. The late Donald Westlake called it "push fiction," which I like better than the more common designation, "pantser" writing. He wrote by the seat of his pants, rather than outlining, reasoning that if he didn't know what was coming next, neither could the reader. Although I don't advertise it, there's no secret to the fact that I don't know who the "bad guy" is in my novels until I'm writing the last third of the book. I try to leave the option open, which means setting up some blind alleys and rabbit trails for the reader. Sometimes that works, at other times it doesn't. And, as James Scott Bell taught me long ago when I learned his LOCK system, I want to have a "knockout" ending ready. There are a number of twists that can be used to keep a reader engaged. One is the "tasteless, odorless, traceless poison." Another is the "locked room" death, popularized by Edgar Allen Poe. And Agatha Christie even brought a dead person back to life to be a murderer. (I read that last one while alone in the Bachelor Officers' Quarters in the Azores, and kept the lights on the rest of the night). If you ever have the opportunity to be in the same hotel as a writers' conference, keep your ears open in the elevator. A person who doesn't know what's going on might call the police! So, what's your favorite twist? Let me hear them. I promise I won't use yours--well, maybe, but I'll try to disguise it so you won't recognize it. Tweet with a single click. "Plot twists, ways to kill without being caught--all part of a mystery novelist's life." Click here to tweet. 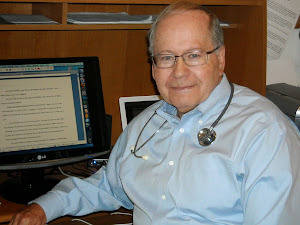 For over forty years, I practiced medicine. In that time, first in private practice and then as a professor at a prestigious medical center, I looked at myself as a physician. The facets of my occupation included patient care, surgery, writing, lecturing, teaching--but when asked my occupation, I replied, "Physician." My first wife, Cynthia, died less than a month after she retired. We were set to move to some acreage we'd bought and enjoy the time we had left together. But God had other plans. 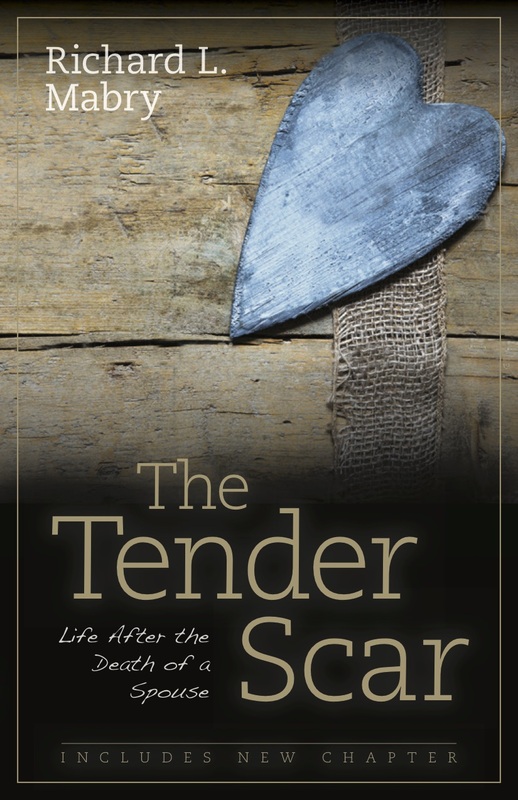 The result of her death was the publication of the book that came out of my journaling: The Tender Scar: Life After The Death Of A Spouse. And at a writers' conference (the first of many I attended) came a challenge to try my hand at fiction. As I've said before, after four years spent writing or rewriting four books that garnered forty rejections, I got my first contract. Now I've had ten novels of medical mystery published by traditional houses, plus self-publishing two (soon to be three) novellas. After a decade, the publishers of The Tender Scar decided to print a second edition, which will be out soon. I didn't want to change a word from the first edition, but I have included an additional chapter, one on the blended family. As always, I hope the book continues to minister. I still haven't come to terms with my switch in occupations, but I suppose that when pressed I'd give a qualified answer: I'm a retired physician, now writing. Some would say my story bears out the adage, "Man proposes, God disposes." I prefer to look at it this way: "God doesn't make bad things happen--but He can use even the worst of them for His purposes." What about you? Have you experienced an unexpected turn in your life? How did that work out? I'd like to hear. Tweet with one click: How an unexpected event resulted in a change of occupation. Click here to tweet. It's been three years since I posted about writer input on cover design. If you don't know about that process, I strongly suggest you check this link and read it. Today, I'd like to talk about the difference between that process and the one involved in self-publication. Admittedly, I'm a neophyte compared with some of my colleagues whom I consider the experts in this field. But I've learned a bit from self-publishing my novellas, Rx Murder and Silent Night, Deadly Night. 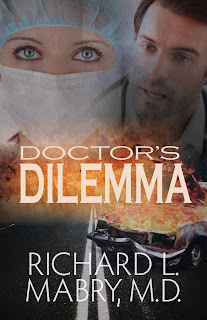 Now I'm in the final phase of preparing my somewhat longer novella, Doctor's Dilemma, for self-publication. (For those interested, it should be available for Kindle in a month or less, with hard copies coming out at about that time as well). Self-publication means just that: the author either does or arranges everything: changing a Word manuscript to the ebook format such as MOBI, designing or having someone design the cover (including the back cover copy and spine), marketing, arranging reviews, and a hundred other things that we authors never think about, choosing to leave most of that to the publishing house that signs us to a contract. A number of self-published authors have developed their own methods of doing this. Here's the way I go about arranging for a cover design. For Doctor's Dilemma, I had an easy job. 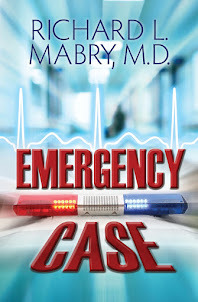 I write medical mysteries and suspense, and the covers reflect that. Other genres demand other images, but mine were easy to come by. I gave the artist whom I chose the physical descriptions of the male and female protagonists, along with an incident occurring early in the book that typifies the story. (In this case, the hero's car blows up). The artist put together a suggested cover, and after I approved it, purchased the stock photos as necessary. I wrote the back cover copy (I always do--even for novels traditionally published). You can see the finished front page above. Just as there are many genres of book, there are other ways of arranging for a cover of a book that will be self-published, and many excellent sources for such covers. This happens to be the one I've adopted. What questions do you have? I'd love to hear from you. Tweet with a single click: "Inside the process of getting a cover designed for a self-published book." Click here to tweet. Ever wonder what happens to a series an author has created if the writer passes away? We'll talk about that at the Suspense Sisters blog (I'm an honorary Suspense Mister) today. And one randomly chosen comment will win a copy of my novella, Silent Night, Deadly Night. Join us.